Steven M. Elrod represents private and public sector clients on land use, zoning and real estate matters. He is the chairman of Holland & Knight's National... Read More. Peter M. Friedman has an accomplished and broad real estate practice and is the practice group leader of Holland & Knight's Chicago Real Estate and Local Government Group. Mr. Friedman represents private and public sector clients in all phases of real estate... Read More. Andy Gelman is an attorney in Holland & Knight's Chicago office. 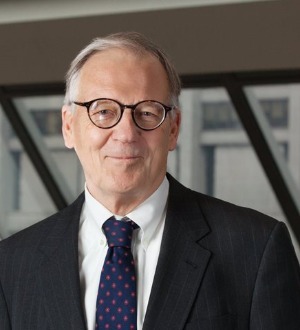 He concentrates his practice in estate planning and estate and trust administration and controversies and is the immediate past chair of the firm's Illinois Private Wealth Services Practice Group. He... Read More. Judy Gold is a partner at Perkins Coie in both the Government Relations and Business Law practices. Judy has two decades of transactional experience in general corporate, real estate and private equity as well as in the areas of government relations, public affairs,... Read More. Bankruptcy and Creditor Debtor Rights / Insolvency and Reorganization Law, Real Estate Law, Immigration Law, Civil Rights Law, Securitization and Structured Finance Law, Commercial Litigation, Banking and Finance Law (Banking & Finance), Corporate Law... See More.